Well, something I never though could happen is happening right now. I’m staring at the most perfect delicious maple bar right in front of me and I’m about to get up and walk away in slight disgust. This girl is officially sick of donuts. Which is absolutely nuts for me. That picture right there?? Does nothing for me!! That’s completely bizarre. Just yesterday we drove by a Krispy Kreme donuts and my husband said with a sarcastic chuckle, “Hey Mare—should we grab a dozen?” And for the first time ever I turned down a dozen donuts from Krispy Kreme. The words just felt wrong coming out of my mouth. I just said no to those melt-in-your-mouth bites from heaven?? What is WRONG with me?? Almost nothing in life could make me take a step back and realize something is up than me turning down a dozen original glazed donuts from Krispy Kreme haha. Now, why is the question. Well, we just had visitors in town who were a very bad influence on us during their stay. We managed to buy (and consume) 57 donuts!! That’s right—admitting you have a problem is the first step so here I go. Yes, it’s true I said 57 DONUTS! Granted, that is between 6 people—but still. That is just downright gross. My sister-in-law comes from the Salt Lake Valley and she couldn’t believe the sheer number of donut shops every couple of blocks no matter where we drove. I guess California has a thing for donuts. We yelped the best place to go that is closest to home and ordered 18 the first night. This place will probably always have a special place in my heart for this is the place where I tried my first cronut. 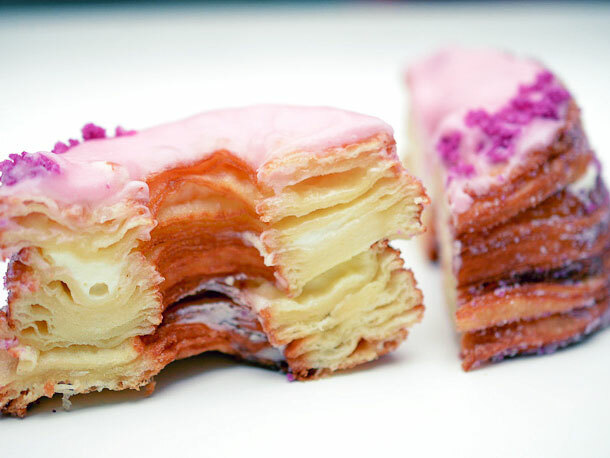 You know—the brilliantly inspired cross between a croissant and a donut! I’m hooked. Next night—we drove 20 minutes each way to drive to Glendora, California to get our favorites from The Donut Man. This is a very famous little donut shop off of Route 66 so if you are ever in that area you have got to try them. There is always a pretty good line there so they are cranking them out hot and fresh 24 hours a day. And they are heavenly! Day 3 came and after proclaiming the Donut Man donuts the best donuts they had ever eaten of course we had to go back and buy two more dozen because why not? They had to get their fix one last time before heading home. I can’t say I blame them. Now, this is something I can’t say we will ever do again. 57 donuts is of course just not good for the body! As much as I have always wish donuts were as healthy as celery, it’s just not the case. But I can’t say I regret it. It created hilarious, fun family memories we will be talking about for years to come. That’s worth it in my book. One way you are sure to not be like us and keep your donut intake in check is to make them at home. 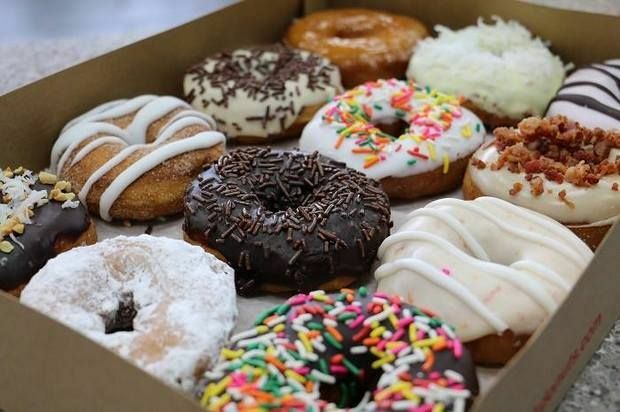 There are several delicious recipes you can try at home and because donuts are a little time consuming to make from scratch, I feel you are likely to just make your smaller batch the one time and that will fill your donut need. 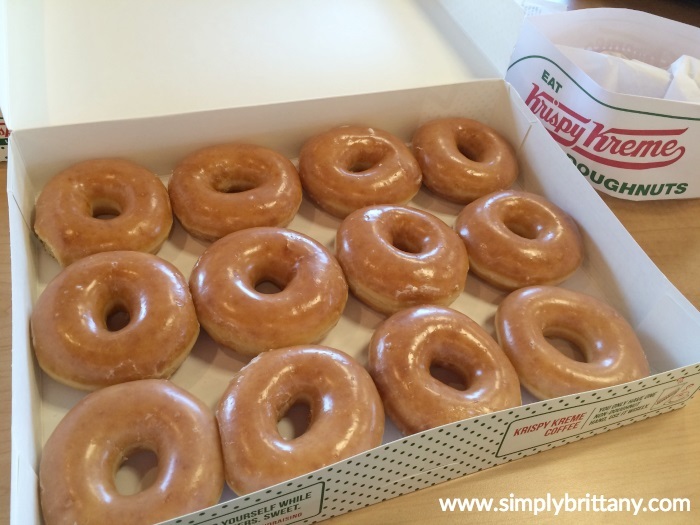 It is far too easy and tempting to just grab a dozen (or 2…or 3!) from a local bakery or even the grocery store and get carried away. One of my very favorite donuts in this is whole world is a recipe I make at home. 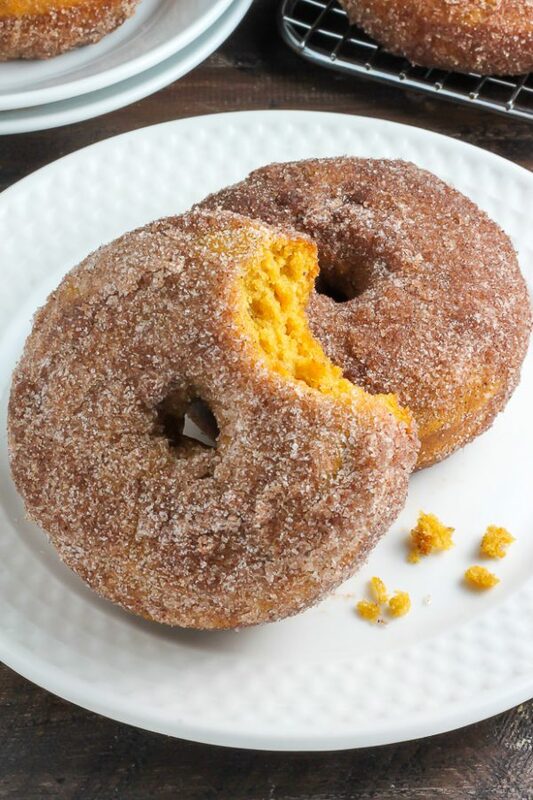 It is a pumpkin spice cake donut that is covered in a cinnamon and sugar mix that is to die for! I know it’s not exactly the time of year where we are consuming pumpkin spice anything and everything like crazy but I assure you these are amazing any time of the year. Heck, I think summer would be a great time to make them since you’ve now had three seasons to rid your body of excess pumpkin spice and you could probably enjoy the flavor again! Hooray! What is your favorite donut? I don’t want to say I’m donut obsessed but after reading through this article I think I’d be in denial to say that. I do indeed love a good donut (or 57). What is your favorite donut? Are you a maple bar kinda person? Cream or fruit filled? Have you tried a cronut? What did you think? Do you ever make donuts at home? I’d love to talk any and all things donuts in the comments below. In a large bowl whisk together the dry ingredients. In a separate bowl whisk together the pumpkin puree, melted butter, and milk. Gently fold the wet mixture into the dry mixture - don't over mix! Spoon mixture into prepared doughnut pan, and bake for 10-11 minutes, or until the doughnuts spring back when lightly pressed. Allow doughnuts to cool a few minutes in the pan before transferring to a wire rack to cool for a few more minutes.